Estonian language and culture are unique and rich. 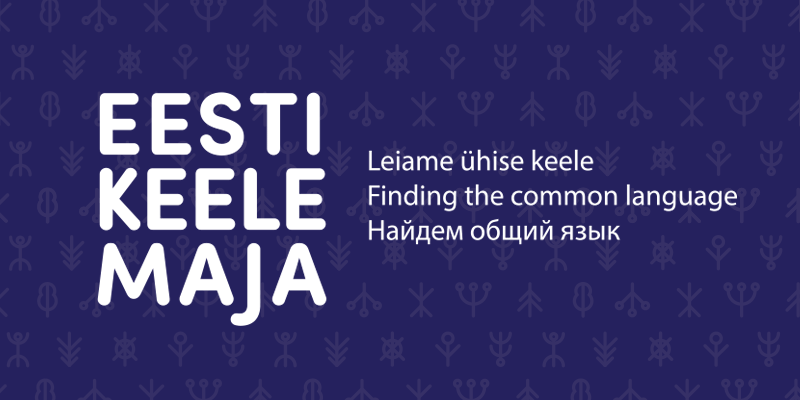 An Estonian Language House helps you discover this and supports your studies of Estonian. We’re open for cooperation. Estonian Language Houses offer various language learning possibilities. Visit us and find out which learning method suits you best. • Language courses – learning the language in a group under the guidance of a teacher. • Tandem studies – language learning where you can study Estonian with Estonians who also wish to study your native language. Get more information HERE. • Language cafés – an opportunity to communicate in free form on various subjects and enrich your language skills. Get more information HERE. • Digital learning – independent studies in a web environment plus regular consultations with a teacher. Opportunities: Keeleklikk, Keeletee, Speakly, WalkTalk). • Estonian language and culture clubs – language practice by visiting different cultural events. • Learning aid – help with language review of simple texts. Get more information HERE. We are sure you will find a suitable language learning method from these options. Everything related to language studies is free of charge for you. We also welcome employers in order to find the best way for teaching the language to employees. We will give advice on organising various events that support language studies in companies and elsewhere. We are open to cooperation and can visit your company in order to find the best solution for supporting language studies. Let’s find a common language!